Chatbots are Artificial Intelligence (AI) programs that simulate how humans would react to a given topic. Whether or not they make sense, these minions can be real funny depending on the programmer’s intention. 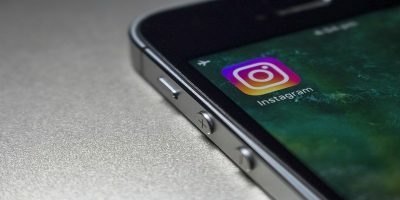 You can use them on websites, WordPress blogs, Facebook pages, Twitter feeds or Slack channels. Building truly intelligent chatbots requires the knowledge of something like Python and high-level libraries such as CoreNLP. By the same token, creating dummy ones for simple tasks does not require any coding skills. 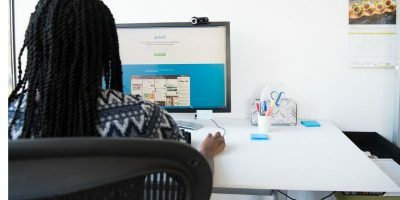 In fact, by the end of this, you will have learned how to launch your own chatbots on the Web. It is always a good idea to leave behind an email address if you want a lead. The chatbot app is clever enough to understand variations of the questions. After this, you only have to publish the chatbot to your Facebook webpage. 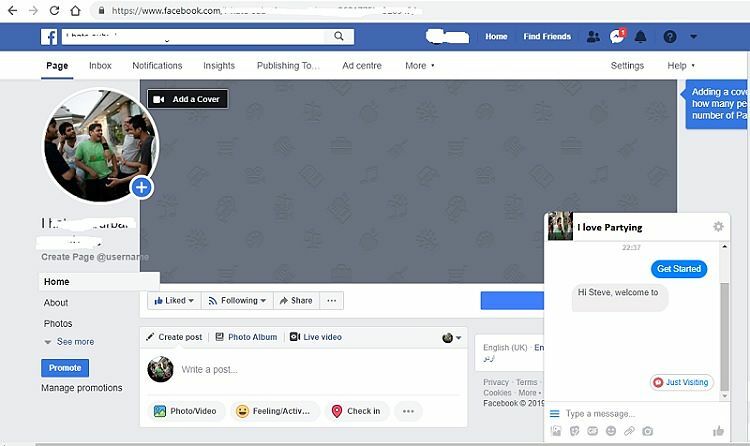 Whenever a visitor comes to your Facebook page, he/she will receive a chatbot repeating what you taught it. 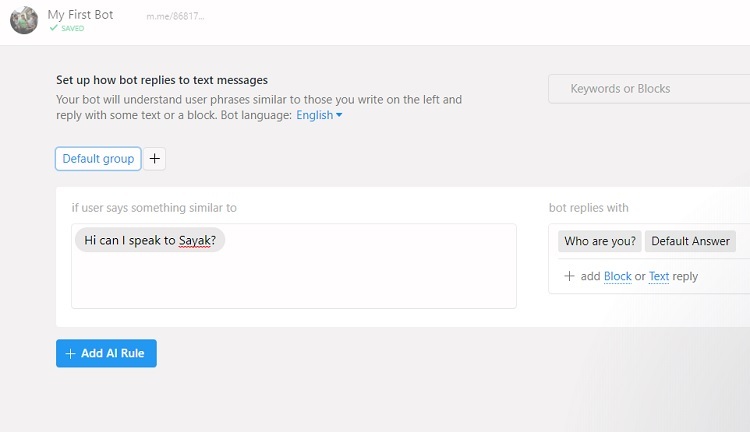 Then again, Botsify’s free feature is rather basic and does not allow too many responses. 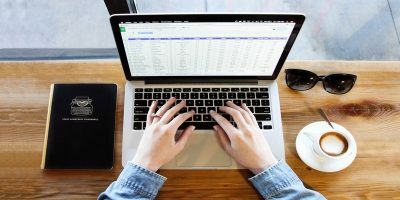 Its paid tool costs a whopping $50 per user per month but includes WordPress and Slack integration. 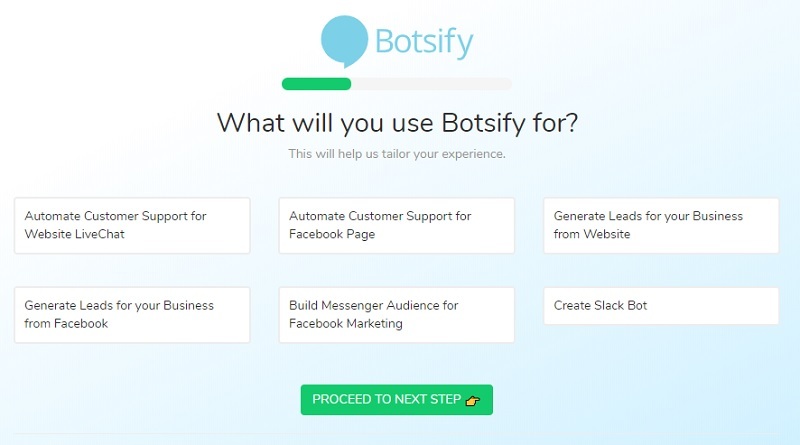 The next best thing to Botsify is something free (limited to 5000 users). 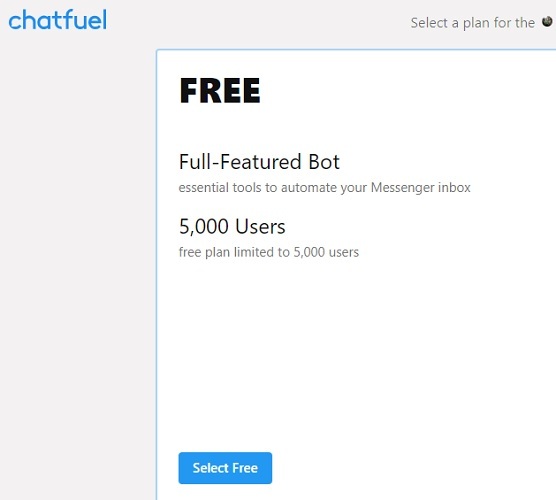 Chatfuel is a full-featured bot which comes with ready templates, social surveys and coupon generators. Its paid plan at $15/month covers unlimited users and is far cheaper than Botsify. 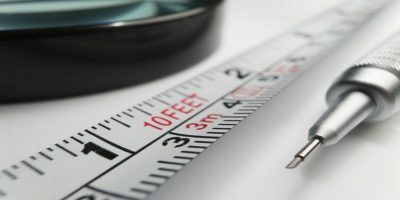 The free plan, however, is good enough for new websites or blogs. 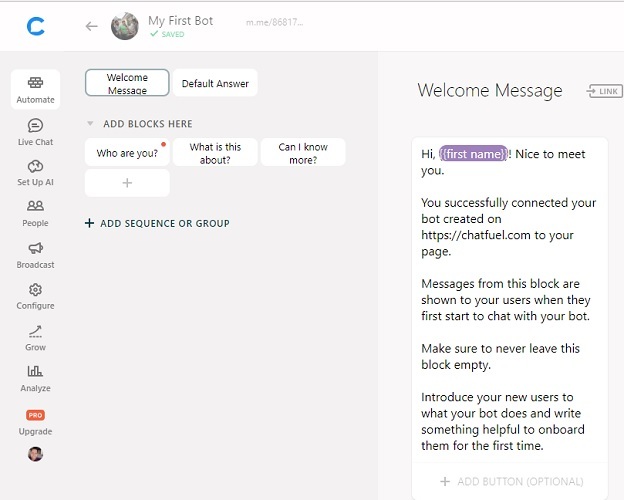 Chatfuel offers far more ease in automating replies to visitors’ questions. 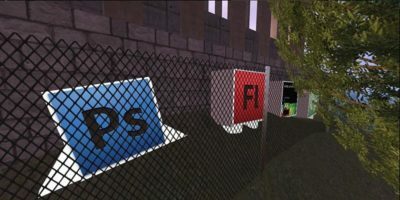 You can create questions for multiple level blocks and feed responses to each one. 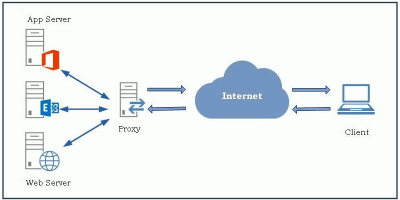 The visitor will simply select one of the blocks as per the query. Chatfuel is also available as a WordPress plugin for hooking visitors on a website or blog. They also support Telegram and Twitter APIs. Finally, we will see how a Slack bot works. For this, we will use another program called FlowXo. The best thing about this software is its relative ease in creating “flows,” which is better than any dumb programs. Depending on a “trigger” for a word or phrase in the chat, the visitor learns a specific term. Creating a Slack bot is simple in the dashboard. It only requires copy-pasting the interactive messages’ URL in your Slack app settings. 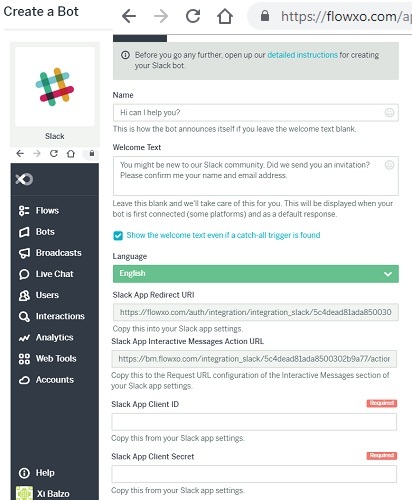 The Slack owner can also broadcast messages for multiple kinds of users. 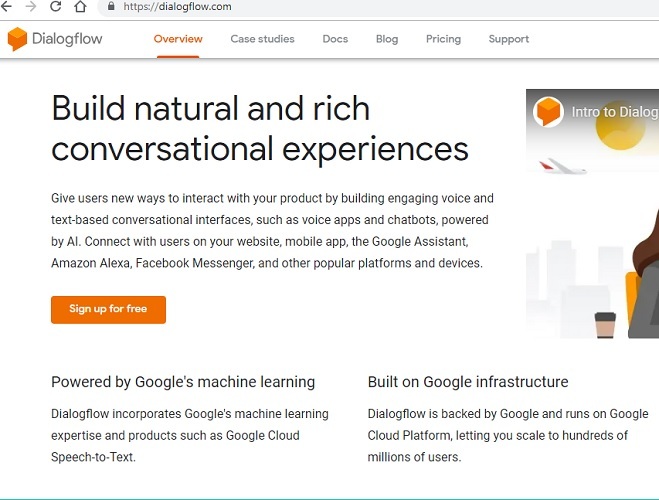 A program called Dialogflow is using Google’s machine-\learning algorithms to connect with multiple applications including Amazon Alexa. 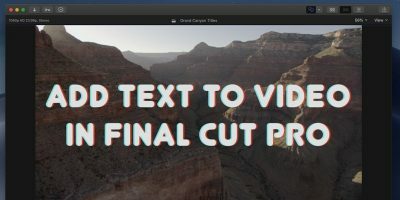 Morph.ai is another tool used for premium applications. Most of the bot creation programs discussed here have enhanced AI abilities in the paid versions. In the future, as AI programs become more sophisticated, chatbots might even close the gap with human virtual assistants. 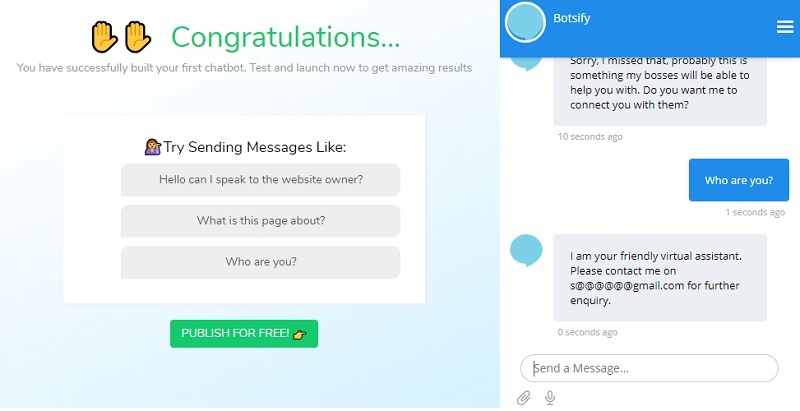 Quite a few corporations are already on the chatbot bandwagon. 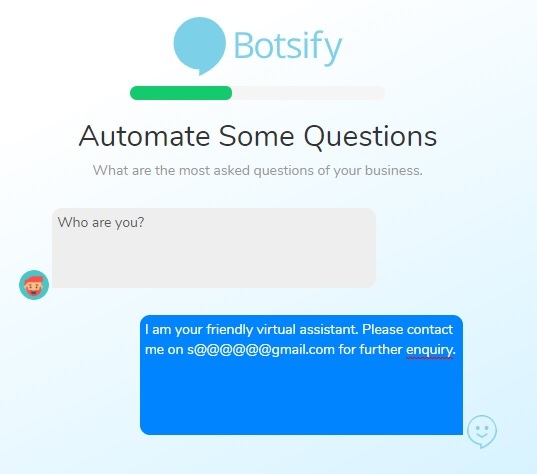 Many international airlines are already using Chatfuel or Botsify in addition to customer support executives. Have you used chatbots for fun or at work? Do let us know in the comments.